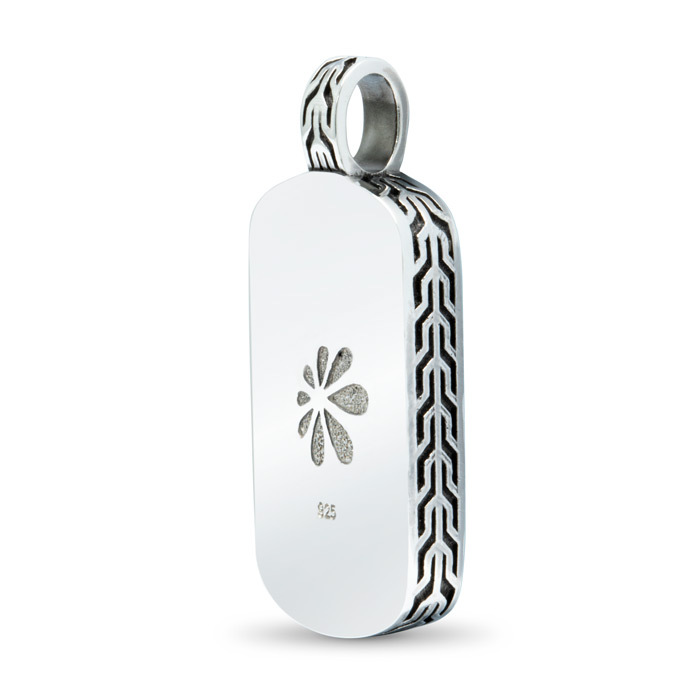 Striking, flawless, and alive with color, our Titan necklace can adorn both men and women. 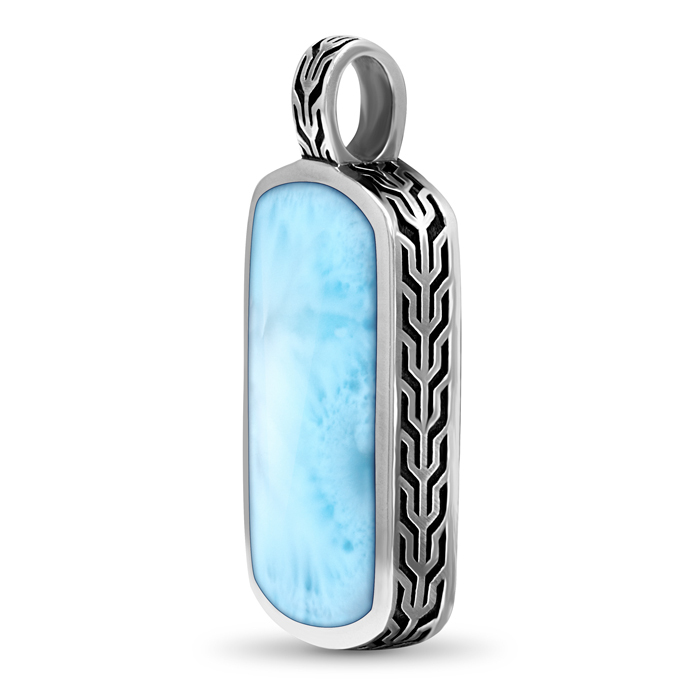 A study in contrast and strength, a squared larimar stone sits within a softly curved sterling silver frame, and held by a fascinating bail of oxidized sterling silver detail. Wow. 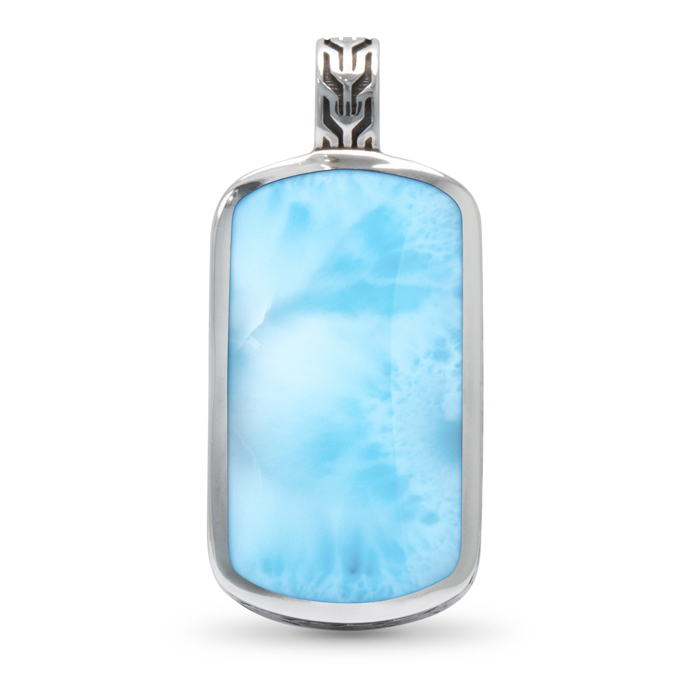 Product Details: 4x14mm larimar gemstone and sterling silver. Overall size is 16x36mm. Comes with an adjustable 21” oxidized sterling silver chain with a toggle clasp that you can set to the perfect length for your look!